Let Us Install Your New Floors! We are a family owned and operated local business since 1996. Our showroom in Wylie, TX is filled with tons of carpet, tile, hardwood and flooring options for your next project. Our customers are our top priority. We want you to love your floors again! Since being in business for 22 years, we have seen suppliers come and go. We only offer hardwood, carpeting, vinyl, laminate, tile and countertops from manufacturers we know and trust! We’re proud to provide beautiful flooring options as well as kitchen and bath remodeling service in the Wylie, Murphy, Sachse, Lavon and surrounding areas. Outside of that area? No worries, we do service the entire DFW area. Whether you’re doing a home remodel in Wylie, replacing worn carpet in Murphy, building a new home in Lavon, or adding hardwood floors in Richardson, our goal is to make your experience an excellent one. We’re here to meet your product, design, installation and flooring needs. Stop by the showroom and let’s chat about your project. We want you to love your floors again! There’s no project too big or too small. We service residential homes and commercial properties. Our installers are respectful of your home or office. They stick to their deadlines to complete your project without any hassle or headaches. We carry the top-name brands and suppliers for all carpet, tile, hardwood, vinyl tile and countertops. We strive to keep up with the latest in waterproof and stain resistant flooring and countertops as well as interior design trends and impressive looks at affordable prices. No matter what your style, we have flooring, tile and countertops to match. Our experienced installers can handle any situation. From uneven subfloors to intricate backsplashes, we’ve tackled it all. We can match moldings to flooring for a perfectly polished look, repair existing hardwood by stain matching replacement boards, have granite countertops cut to fit unique configurations and more. The best carpet and tile store, bar none!! Reasonable prices and able to accommodate even the most unreasonable clients!! I need it laid within a week and they never even hesitated about being able to get it done!! Their selection of carpet and tiles is huge!! Don’t waste anymore time shopping around, go see them now!!!. We realize that replacing your floors, backsplash, countertops, shower, etc. project is a huge financial commitment. We want to help you out. So, we teamed up with Wells Fargo to provide financing options that take the stress out of buying so that can enjoy your new project without worrying about cost. With credit approval Wells Fargo will be happy to provide your financing needs at rates you can appreciate. Let Us Install Your Floors for You! 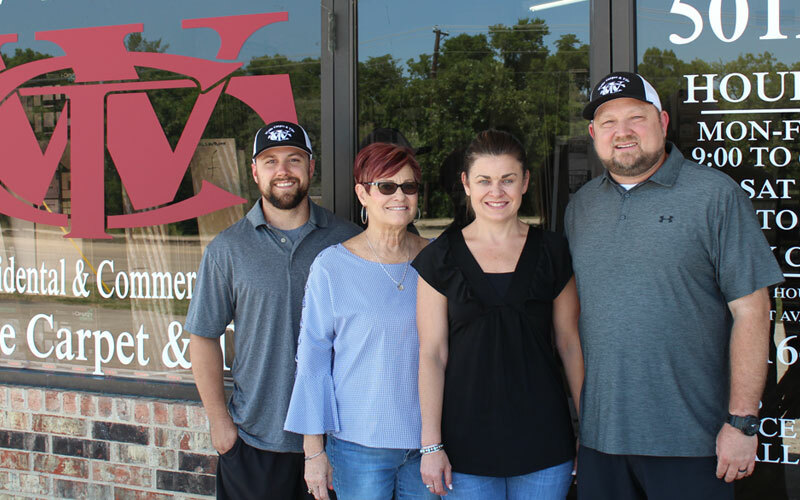 Family owned & operated since 1996. Serving Wylie, TX and surrounding communities.